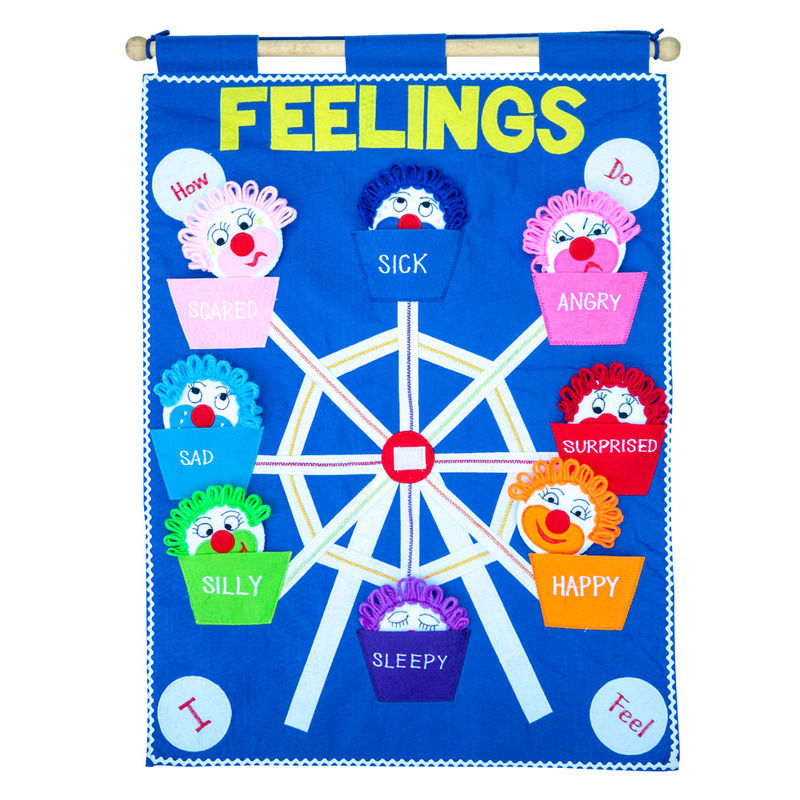 This classic educational toy is especially helpful for young children learning to identify and manage their big feelings and emotions. The removable soft faces are very expressive so young children can also learn to identify how other people around them are feeling. This chart is also ideal for children with autism or special needs. Being able to identify feelings is a big step in coping with being overwhelmed by confusing emotions, and also understand why someone else is behaving in a particular way. The wall hanging is colourful and fun with a ferris wheel design. The faces are kept in the different 'baskets' (pockets) and a chosen face can be fixed with Velcro to the centre to represent "How Do I Feel". The faces could also be played with independently of the chart and perhaps used in a similar way to flash cards.